As I write to you tears come to my eyes. Each time I see Hance my heart is thrilled because we are blessing his young life with God’s love and provision. Christmas in a Box does this and so much more. Because of you, Hance and the other children at Shalom know they are loved! A team from Fresno and my grandson, Joel, are going on this trip together. We can’t wait to shower them with love. But this does not happen without you! You make it all possible. Every life that is reached is because of your love and financial gifts. Christmas in a Box is packaged with specifics for each child by age, name and size. 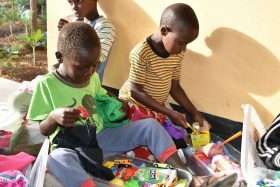 We will also take the kids shopping in Arusha. The needs are so basic. They are not looking for X Box or a Play Station. They’re looking for shoes, underwear, clothes, a new backpack and textbooks for school. 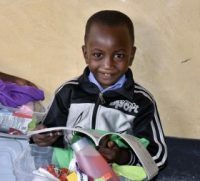 $35 will provide one child with a Christmas Shoe Box. 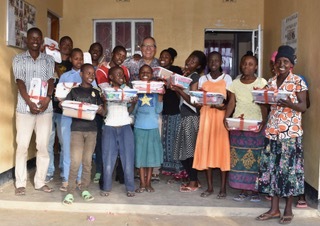 $350 will provide a Christmas Shoe Box for 10 children. 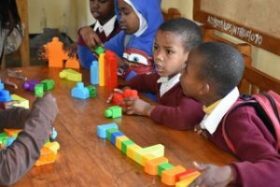 And while in Arusha, we will be able to do even more for each child. 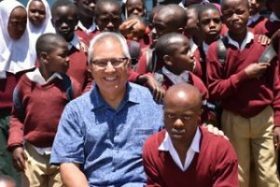 In addition, I will also be sharing your love with the Special Needs children of several Arusha Government Primary Schools. Remember, as you look at these faces, your love will be expressed to each child. But it can only happen with your financial gift. 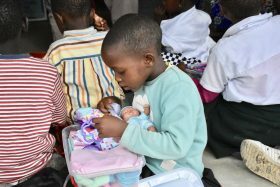 www.africanmoons.org and donate. In addition, you can text your gift to our Smart Giving number: 817-381-7200, it’s safe and easy. And remember, without you this does not happen. But with you, these children are experiencing God’s love and their lives are being changed forever!